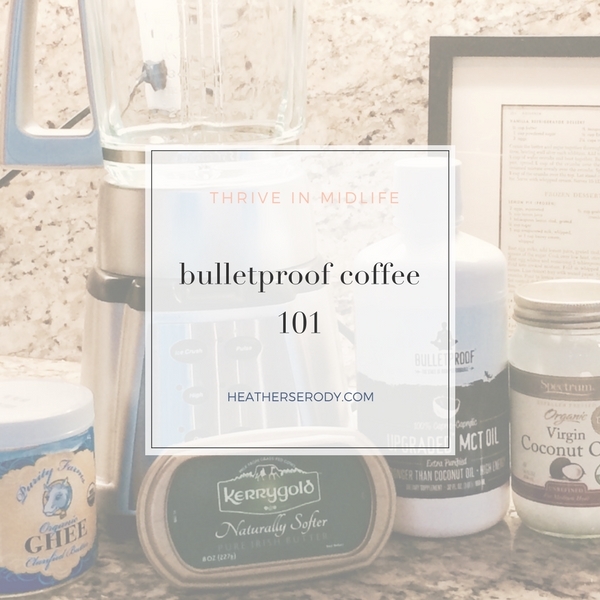 Have you heard of bulletproof, or ‘high performance” coffee? It's touted for its ability to deliver a feeling of fullness and a steady stream of energy for hours and may even help you burn off fat. Bulletproof Coffee is made by combining hot coffee with a grass-fed butter and a tablespoon of MCT (medium chain triglyceride) oil in a blender for 20 seconds until it has turned a lighter color and has a frothy head of foam. It develops an almost sweet flavor and tastes creamy and satisfying. Grass fed butter is important because it delivers the healthiest type of dairy fat and provides the creamy taste you're looking for in a great cup of coffee. Cows that eat grass as they naturally do in nature, (not grain) will produce butter that does not raise cholesterol levels. Irish-made Kerrygold butter is what most Americans use for making bulletproof coffee because it's easily available in the grocery and comes from cows who are grass-pastured for 85% of the year and are not treated with antibiotics or hormones, nor are their pastures treated with pesticides. This all makes for butter that is naturally yellow in color from a high percentage of omegas the cows produce from eating all that sun-grown grass. You can also use a grass-fed ghee, which has the added benefit of having the milk solids removed, which is helpful for those who have dairy sensitivities. You can make your own Kerrygold ghee easily; a good explanation is here. MCT oil is a tasteless odorless oil made from both coconut and palm oils. Longer chain fatty acids are removed; leaving only medium chain fatty acids (MCT's). When consumed, these medium-chain fats are metabolized for energy relatively easier in the body than other fats because they are transported directly to the liver for energy production. Because of this, using MCT oil in your coffee provides your body with a ton of easily used fat for energy. Bulletproof coffee is better for energy than coffee with sugar or creamer because consuming coffee with high-quality fats does not produce the typical spike and subsequent crash of a typical cup of coffee with sugar (carbs). In any case, where both carbohydrates and fat are present, the body will always prefer to get its energy from the carbs before fats and any excess calories left are stored as fat – certainly not what we're looking for, right? Bulletproof coffee circumvents this problem by providing a coffee combination that has a rich creamy taste, doesn't need sugar – you'll see! – and contains no carbohydrates. It provides plenty of calories for a workout and fuels your entire morning without a crash in energy. It carries with it the potential for reduced fat storage (See study sources above.) Lots of Paleo devotees are pairing their bulletproof coffee with the practice of intermittent fasting for weight loss, or to lean out their body composition. A good source of information about that is here if you want to learn more. You can substitute virgin or refined organic coconut oil instead of MCT oil, but note that coconut oil is comprised of the MCT's found in MCT oil plus lauric acid; which is a slightly longer chain fatty acid than the other MCT's found in MCT oil. Because of that, it isn't metabolized for energy as easily as MCT oil, so if you're looking for the biggest energy bang for your fat consumption, stick with MCT oil. Keep in mind though that unrefined coconut oil does retain a coconut flavor that I think tastes awesome, and it also contains lots of other benefits that MCT oil does not. So think about your goals and decide for yourself. I found bulletproof coffee delicious and have noticed great energy throughout the morning after having a cup. Sustained energy for hours without any added sugar or carbs, with the metabolic benefits of reduced fat storage make it a great option for the morning meal. Here's how to make it if you'd like to try it yourself. Brew coffee. Warm up your blender by filling it with hot water; then discard. Pour in coffee, then add oils, cover and blend for 20 seconds until lightened in color and foamy on top. You can split the oil among two cups of coffee if you like more than one cup in the morning. My girlfriend, Rachel first told me about Bulletproof coffee months ago. She is a workout queen and a foodie with a picky palate. When she raves about something, I take note. She graciously shared her recipe with me for famous shrimp salad (which is divine,) and she looks this great first thing in morning when she shot this video for me. Thanks, Rachel – love you big Girl! !